Ants are kind of like the mother-in-law you don’t get along with. They barge into your home uninvited, and you can’t think of a single polite way to ask them to leave. While these critters are only looking for some food and shelter, they can be a nuisance – and they can contaminate your food. We’re going to show you how to get rid of these ant invaders (naturally and the old fashioned way). But first, let’s figure out what type of ant is in your home. 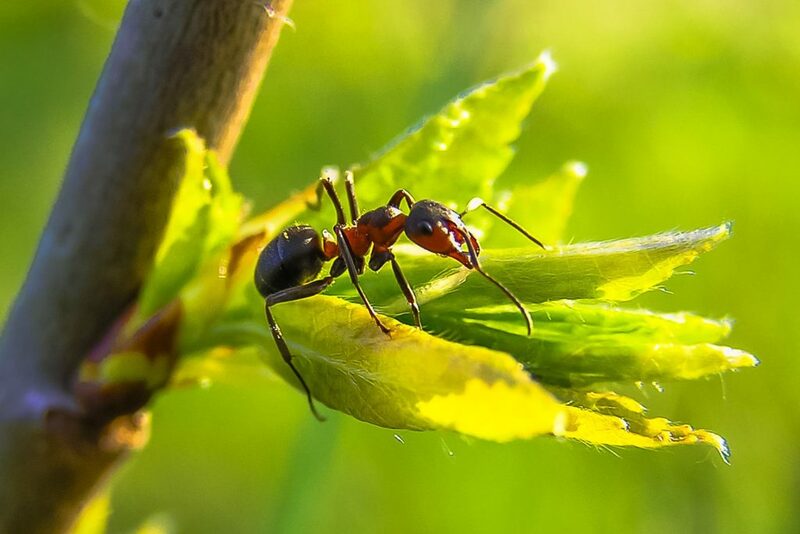 Did you know that there are more than 12,000 species of ants in the world? Fortunately, only a handful of these species are known for invading homes. Because ants are so small, it can be difficult to identify a species just by looking at it. But in most cases, you can tell what type of ant is in your home based on its color and size. Argentine ants are prolific breeders. They’ve managed to reach every continent in the world over just the last century. Individually, these ants are tiny at just 2-3mm in length. But their colonies are huge. Males and queens are larger than the average worker ant, and colonies often have hundreds of queens. These ants are brown in color, and they form wide ant trails. These guys can bite, but they don’t have stingers. Worker Argentine ants like to eat sweet foods, like syrups, plant secretions and fruit juice. They love the aphid’s sugary secretions, too. In fact, Argentine ants will hold aphids hostage in their colonies, biting off their wings to keep them grounded and producing more delicious honeydew. Argentine ants emit a somewhat off-putting smell when squished. Odorous house ants prefer to build their nests outdoors under stones or mulch. These ants are one of the most common types to invade homes, and they’re attracted to sweets. Large in size, carpenter ants are common in the United States – and they’re considered structural pests. Black in color, these ants are usually between 0.3″ and 1″ long. Carpenter ants are unique in that they build their nests inside of wood. They actually carve out the wood with their mandibles, and they prefer to build their homes in damp, rotted wood. 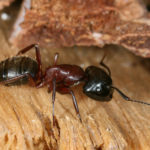 Many people assume that carpenter ants eat wood, but they don’t. They prefer to dine on dead insects and the sweet honeydew produced by aphids. Native to the southern region of the United States, the southern fire ant is a real pain – literally. These ants are known for their painful sting, although the pain isn’t quite as intense as the red imported fire ant. Southern fire ants will store seeds in their nests, and they’re opportunistic feeders. Like most other ants, they also love to feed on honeydew. 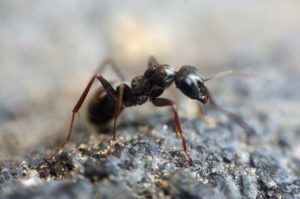 This type of ant is most commonly found in the Carolinas, Georgia, California, Tennessee, Georgia, Kansas and Arkansas. These are just a few of the many types of ants that may invade your home. While there are thousands of different species, the methods for getting rid of these pests is generally (not always) the same. The only surefire way to keep ants (and other bugs) out of your home is to seal up any cracks, holes or crevices in and around your home. Even the tiniest opening is large enough to let an entire army of ants into your home. These areas provide ants with the easiest entryway into your home. Caulk and foam sealant can be used to block off these cracks and crevices. Sealing is the first step in the extermination process. The next step is to clean up. You keep a tidy home, but do you ever leave food sitting out on the kitchen counter? Do you have sweets or bags of candy that may be half-opened in your pantry? Maybe you have a sugar bowl in your kitchen for your morning coffee. These seemingly unimportant things can actually lead to an ant invasion. 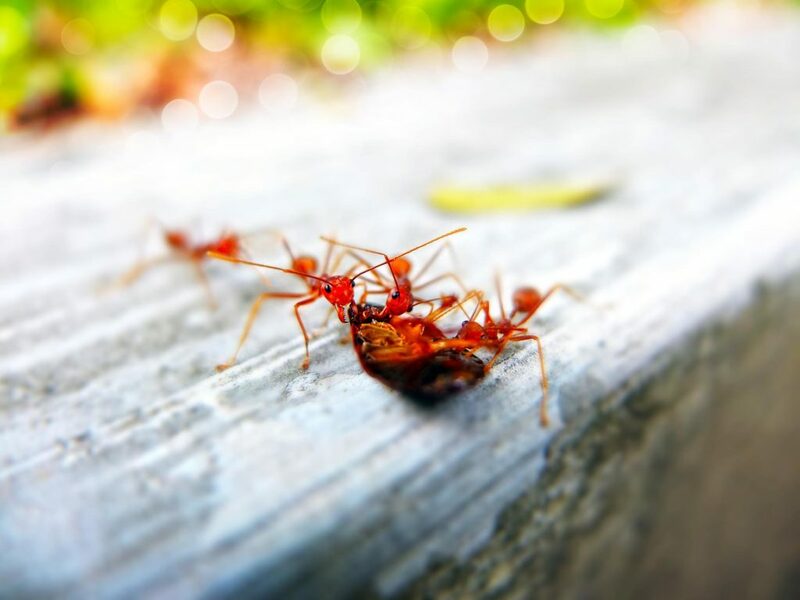 Contrary to popular belief, even the most spotless of homes can have ant problems. If you eliminate the food source, ants will have no reason to stay in your home. That means cleaning up your kitchen – every last crumb – and keeping food sealed in airtight containers. Bonus: Your pantry and cabinets will be so much more organized now. For safe ways to get rid of ants around food, see our article on getting rid of ants in the kitchen. Next, put on your detective hat and move outdoors. It’s time to check your plants for an unsuspecting ant food source. You know that ants love honeydew from aphids. And what do aphids love? Plants. Check your plants for these tiny green pests. These critters may be the reason why ants have invaded your yard or home. Get rid of the aphids before you move on to the next step. Once you’ve sealed up entryways, cleaned up your home and checked your plants for aphids, you can finally tackle your ant problem head-on. Commercial bait – like the kind you buy online or in home improvement stores – is one of the most effective ways to get rid of ants for good. These traps contain poisonous bait that attracts the ants. Once they take the bait, they bring it back to their nests where the rest of the colony will eat it and die. How Do You Kill a Queen Ant? The only way to truly get rid of an ant infestation is to kill the colony’s queen (or queens). Otherwise, she’ll keep producing more babies, and you will continue with your uphill battle against these insects. To kill the queen, you must first find the nest. Pour boiling water over the nest. It sounds cruel – and it is – but pouring boiling water into the nest will kill the ants. Hopefully, the water will also reach the queen and kill her as well. Create your own baited trap with: 1/2 cup sugar, 1-1/2 tbsp. borax and 1-1/2 cups warm water. For additional details on using this method, see our article on getting rid of ants with borax. Clean your home with white vinegar. It destroys the chemical trail that attracts ants to your home. Sprinkle diatomaceous earth (a non-toxic, natural substance) along ant trails and around the perimeter of your home. You can mix water with peppermint, lemon or cinnamon essential oils and spray the solution around your home to keep ants away. You can also sprinkle cinnamon near entryways or plant peppermint plants along the perimeter of your home to keep these insects at bay. If you’ve tried every trick in the book and the infestation has gotten out of control, it may be time to call in an exterminator. 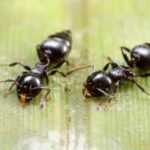 You may also want to call in a professional if you’re dealing with fire ants or carpenter ants, whose nests are hard to find.